It has been almost 30 years since the first World AIDS Day organised in 1988 against the pandemic. Today, it is possible to prevent the transmission of HIV with effective treatment. People living with HIV have access to the same life standards as everyone else. The largest sexual health clinic in Europe, 56 Dean Street in London, recorded 80% fall in new HIV diagnoses compared to two years ago, thanks to recent developments. However, the stigma goes on. It is the main problem against beating HIV and it puts physical and mental health of many in danger, preventing access to effective treatment and equal life standards. Even though the stigma is still not fully cured, the HIV treatment has seen a lot of improvement in recent years, right? The stigma is definitely not cured, but I think that the many people who are open about their diagnosis is helping move us in the right direction. As you already know, I am very open about my HIV status, and continue to be in my personal life. I educate coworkers and friends about it often. Especially being in the medical field as a nurse, it’s important that people who work along side me are knowledgeable about HIV especially since many more patients with HIV are requiring care in hospital and skilled nursing facilities. The medical advances are great! When I was diagnosed in 2013, there were only 2 pills that were once daily combination pills. Now there are about 6 I believe. Do people living with HIV have to pay any special attention to their diet or lifestyle? It is very important for those living with HIV to be mindful of their health. I actually wrote a paper for my nutrition class on the topic of HIV and nutrition. HIV changes many things about ones body, including medication. It’s important to know that it is more difficult for someone with HIV to absorbs fats when eating, which would then cause gastrointestinal upset if that person eats foods high in fat. The medications are particularly stressful on the kidneys and liver, and also have a tendency to raise one’s cholesterol levels. I obviously advocate a vegan diet to minimize damage to vital organs in the body. Exercise is also important, along with very mindful use of alcohol. I don’t drink alcohol but maybe a couple times a year. Alcohol abuse is negatively associated with medication adherence. People who are hungover often will forget to take their medication, which could result in viral resistance to the medicine. Why did you decide to go vegan by the way? I decided to go vegan almost one year to the day of my HIV diagnosis. My reasoning was not selfish, I was learning about factory farming animal abuse and it broke my heart. I finally made the connection with food and the animals used for it. I became vegetarian for 3 days and then I decided I couldn’t do it half assed, I needed to commit myself fully to the animals and not perpetuate harm. You are also a health worker yourself. Some people, even some doctors may say this “extreme” or “poor” eating habit might be unhealthy for a person living with HIV or other conditions. Is this true? Many doctors, well most, are educated in medicine, not nutrition. My personal infectious disease doctor has no issue with my being vegan, and simply does blood tests to be sure my vitamin B12 levels are acceptable. I take a vegan B complex vitamin daily for this. She always says my blood work looks great and supports my decision to be vegan. 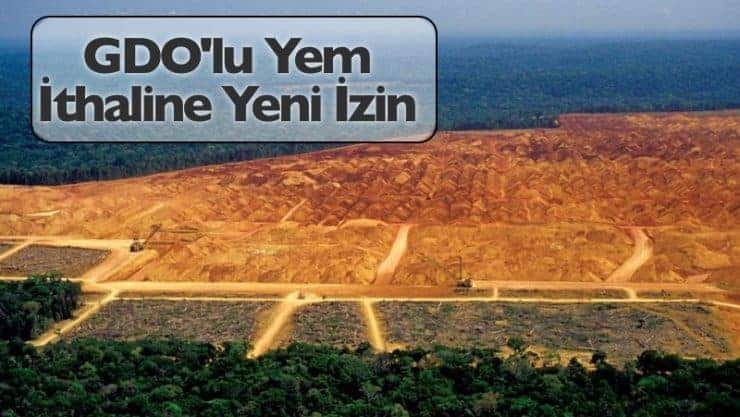 Emre is a 24-years old Turkish vegan from Istanbul. He has been living with HIV for around a year, and says that the only issue he faces is the ignorance in society. 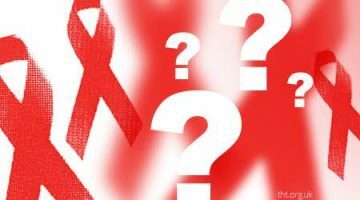 What do you think about the developments on HIV? When you use your daily pills today, you live a regular healthy life. The transmission levels are lower and there is no risk of transmission when on effective treatment. This is an awesome development! Even though the virus is not fully treated, it is possible to stop it. This saved lives of many and starts to break the taboos around HIV. Does it? Do people around you have enough knowledge on HIV? Well, I cannot say that the taboos are over in the society. People around me don’t know much about HIV. When they hear about it, what they first think is about what kind of “immoral” act caused you to have the virus, not about what HIV actually is. The topic is still a real taboo and even though the new diagnoses are starting to fall in Europe, more people are being diagnosed in Turkey. Because of the negative reactions I would receive, I prefer not to share my condition with anyone else apart from my close friends. But I know people who lost their jobs, had to end their relationships or even someone who was rejected surgery by a doctor; there are many who face discrimination. What is important to take care of against the possible side effects of HIV medication? The recent medications have very little side effects. They are chosen according to each person’s needs and you have tests every three months anyway. HIV positive people have to eat a healthy diet and live an active lifestyle. Actually isn’t this what we all have to do? As there is no difference between HIV positive people and the negative ones, I don’t see any specific issues. How is your eating habits then? Are there any known positive or negative effects of a vegan diet? It’s almost the same period when I was diagnosed and when I went vegan. I didn’t go vegan because of health, but it was the bonus. I haven’t read a scientific paper on HIV and being vegan. But you live a peaceful life away from the destructive facts of animal products. This is crucial for me. Being vegan gives me a positive look and hope towards life. This look made things much easier for me during my acceptance period after I was first diagnosed. Why did you go vegan? Had any comments from your doctors? I became vegan for the animals; I saw they have feelings too and they can feel the love. I can’t cut the throat of these creatures and eat their meat or drink the milk they made for their babies. I always ask my doctors if being vegan would have a negative effect on my treatment. They all agree that it wouldn’t be a problem. They all advise a balanced, healthy diet and a vegan diet already provides me those. Comparing with the past, maybe we are already living the “future” of HIV treatment; but how do you see the upcoming periods for the treatment and the battle against the stigma? HIV treatment has advanced incredibly. I can’t say it’s the same for the fight against the virus. There is still a lot of prejudice and discrimination against people living with HIV in Turkey. We need more awareness campaigns and events reaching all parts of the society. The doctors believe that HIV will be cured in the near future. This is very exciting. Today we all can live a comfortable life with high standards thanks to the science. That’s why we should follow the guidance of science, and break the taboos with it. HIV is a virus that may cause AIDS, if untreated. Today though, HIV is just a chronic issue requiring daily medication. An HIV+ individual on medication has similar life span and conditions like anyone else 🙌 Most people living with HIV do not develop AIDS related illnesses today. Even if the level of the virus is contagious, HIV can never be passed on by regular contact such as kissing or by sharing common utensils in daily life. Unfortunately Prep access is still not being provided through the social security systems in most countries. PrEP has a huge potential for ending the spread of HIV worldwide. PEP though, an anti-HIV medication that can be prescribed to HIV negative people within 72 hours of potential HIV exposure, is becoming more available. PEP may reduce the chances of infection by around 80%. We are closer than ever to beating HIV. But more support is needed for people living with HIV and the stigma is still there to tackle. ℹ The best support you can give is by having the correct knowledge and approach, and sharing the facts. 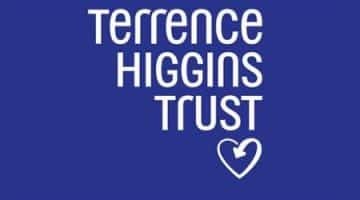 Visit Terrence Higgins Trust for more info. Some details of the second interview have been changed.